The official Shadowhunters site is rolling out exclusives daily and today’s is one that’s a real eye-opener — for those of us with eyes, unlike these guys below. 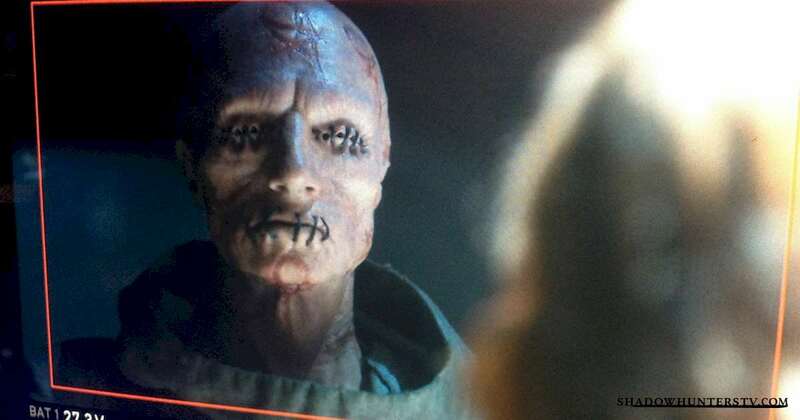 Check out our first look at the Silent Brothers in Shadowhunters! Be sure to keep checking back to ShadowhuntersTV.com for more content from the show. What do you think of this version of the Silent Brothers? OMGOMGOMGOMGOMGOMGMGOMGOMGOMOMGOMGOM OH MY GOD!!! ARE WE GOING TO GET TO MEET ZACHARIAH EARLIER!!! 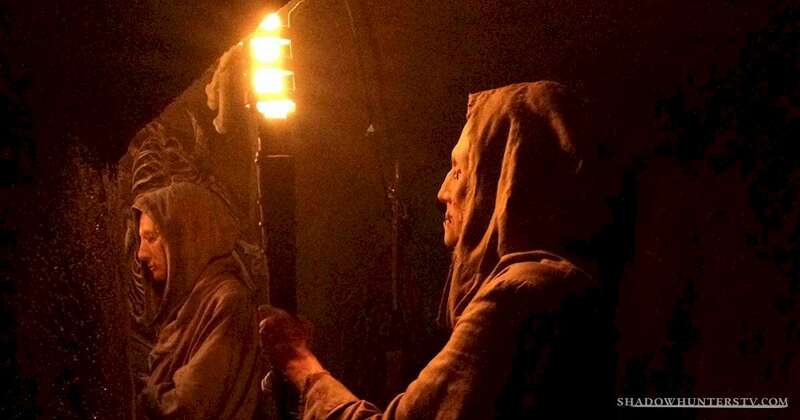 I really like the new silent brothers they are very similar to the ones from the film and I liked that version however these silent brothers actually have the runes on their faces which was a paticularly fundamental element that was missing from the films. In the books it said that he only had his mouth and eyes closed, not with stitches. He won’t. In the books, he still has his hair and his eyes are just closed, not shut, along with his mouth. Yes!just as in the movie and the description in the books. The older they get the creepier they look- Just read the Codex. They would vary in disfigurement and Brother Z would probably have the least. he Codex also had something interesting I’ve always wondered about Silent Brothers- their eyes and lips are sealed with the Stele, a zigzag rune that then turns into stitches and so probably not as painful and gruesome as some gory needle method. Some older ones have their eyes actually removed, then they have empty sockets like I think Brother Jeremiah has. Their robes also become more decorated with bloodred runes the older they get. ❤ So awesome! Nice work guys! If this t.v. series is successful do you think they’re going to make a TID t.v. series too? Dying to see this scene! Can’t wait!